We feel confident in saying that taking your hair to a brighter, blonder hue requires the most upkeep of all shades. This is because lifting your hair's base color with bleach requires more processing and chemicals than dyeing it a darker shade. Doing so also leaves the hair more prone to breakage by opening the cuticle, which then allows for UV rays, pollution, and other elements to enter (and moisture the exit), thus making the color appear duller and brassier (read: yellow). 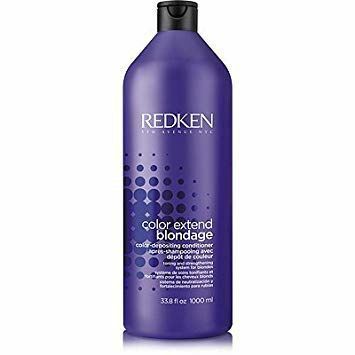 But even if you think you've hit the point of no return with your blonde's level of brassiness, know that there are some great purple shampoos that help restore your once-flaxen vibrancy (or prevent yellow-tinged hair from happening in the first place). Why purple? Think of it as a color-corrector: Shades placed opposite of each other on the color wheel cancel each other out, so purple tones will cancel out yellow tones. "Over the weeks, after the color and toner fade on your carefully executed blonde, that yellowy, brassy tone makes an unwanted appearance," explains AJ Blackadder, a Redken color ambassador. "So grab a purple shampoo, and watch it work its magic." 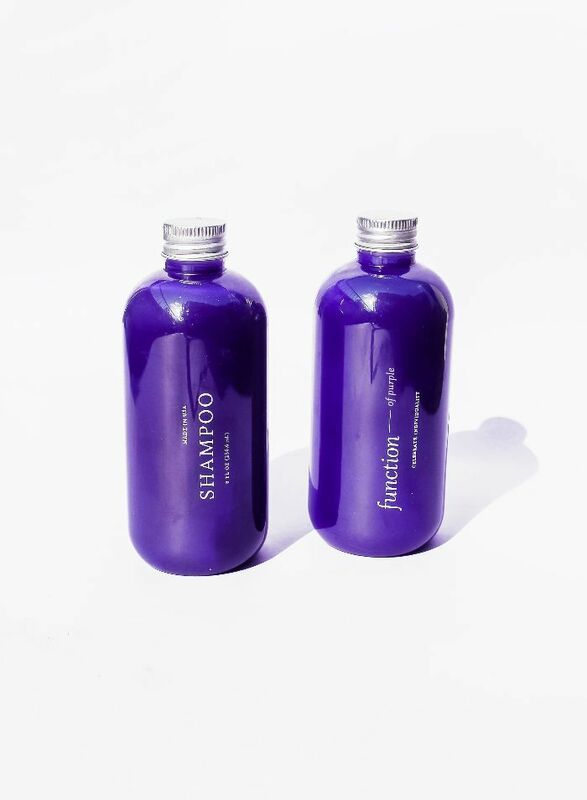 Below, our favorite purple shampoos. 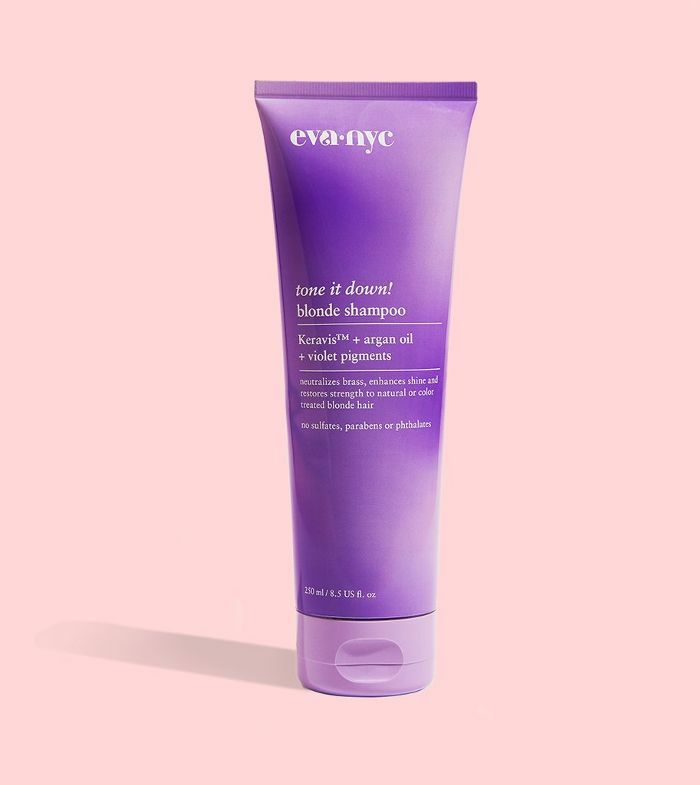 Fortified with protein; vitamin A, D, E, and B; amino acids; and minerals, this ultraviolet shampoo nourishes your hair while delivering cool-toned results to fight brassiness. 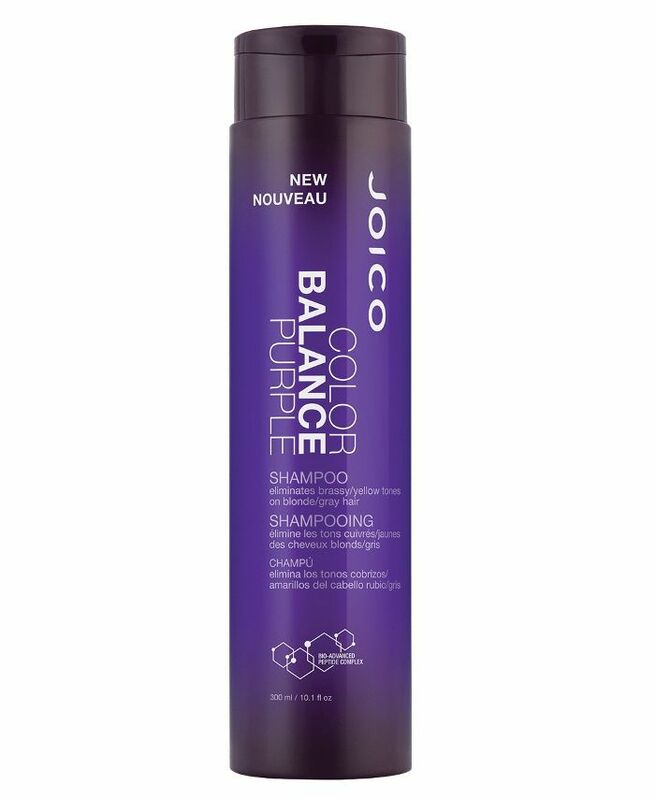 Celebrity colorist Justin Anderson calls this shampoo "the best violet pigmented shampoo on the market." It's also a favorite of Kristen Cavallari's, and all for good reason. 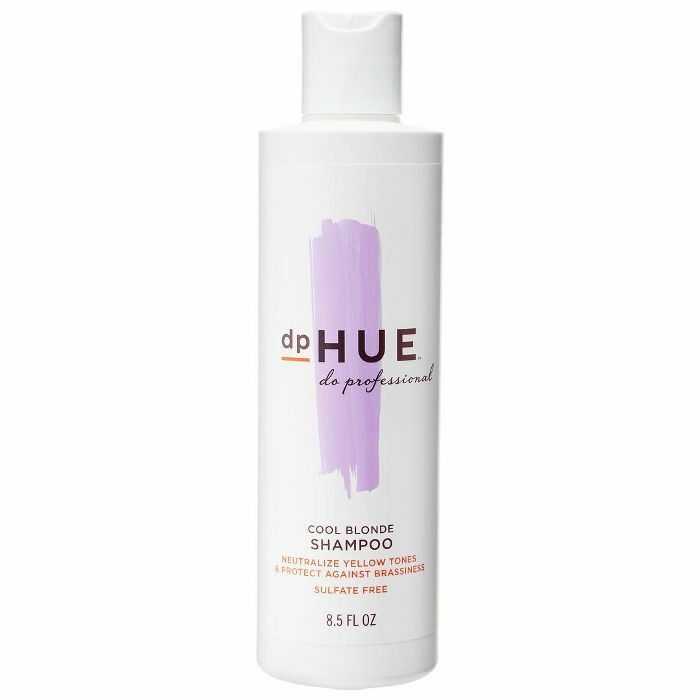 It's sulfate-free with a deep violet pigment to protect your hair color while deep-cleaning your strands. 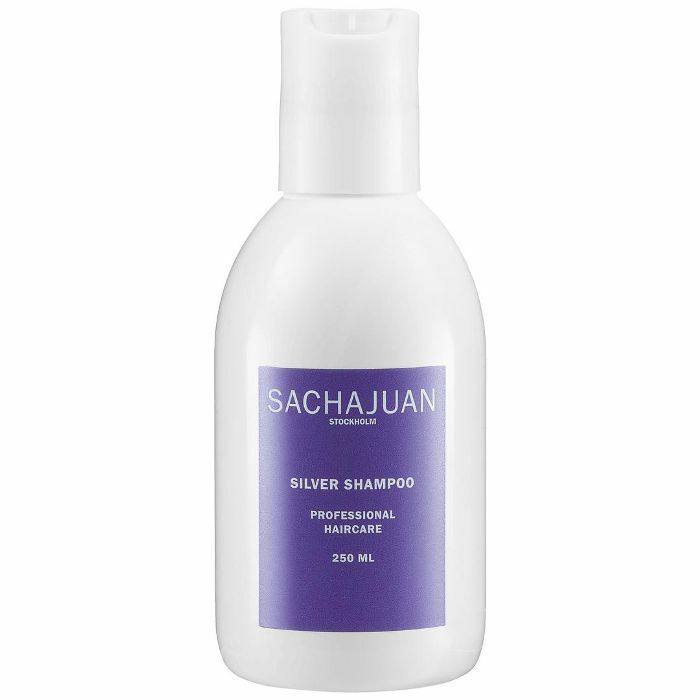 We're big fans of Swedish brand Sachajuan, formulated by hairstylists Sacha Mitic and Juan Rosenlind. This product in particular offers a big boost of volume as well as UV filters to protect color from fading. 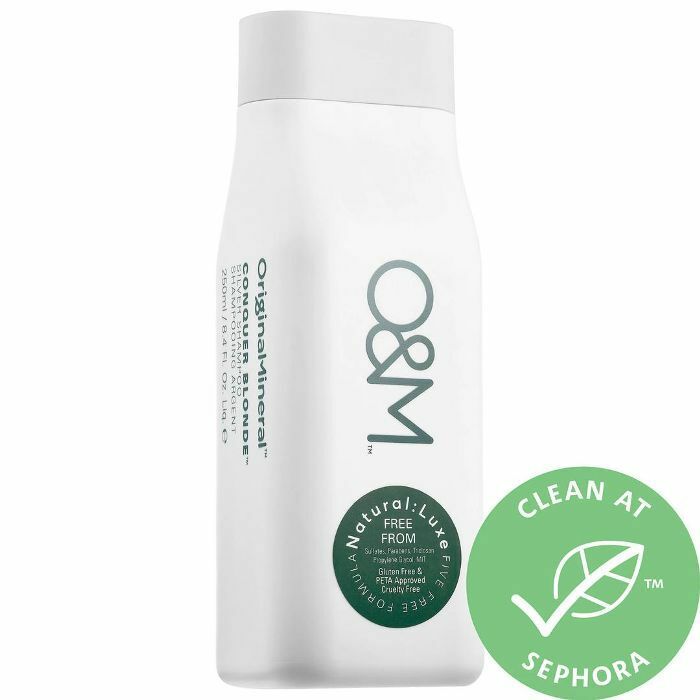 Formulated by hairdressers, O&M provides salon-quality results while treating the hair gently and safely. 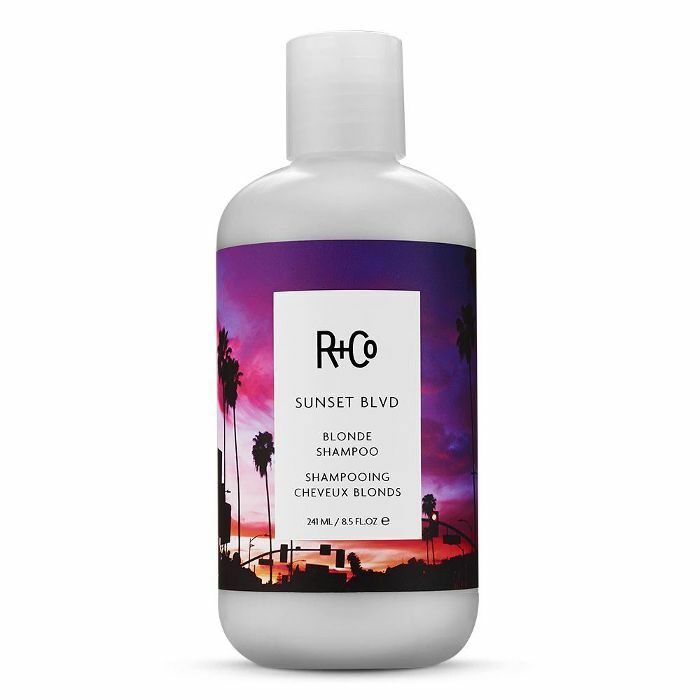 This product in particular is formulated with aloe vera and desert lime to hydrate hair and keep it looking vibrant. One user writes, "[This is] the ONLY shampoo I will use on my blonde highlights. Love love love this. Bought it as a gift for a few people as well." 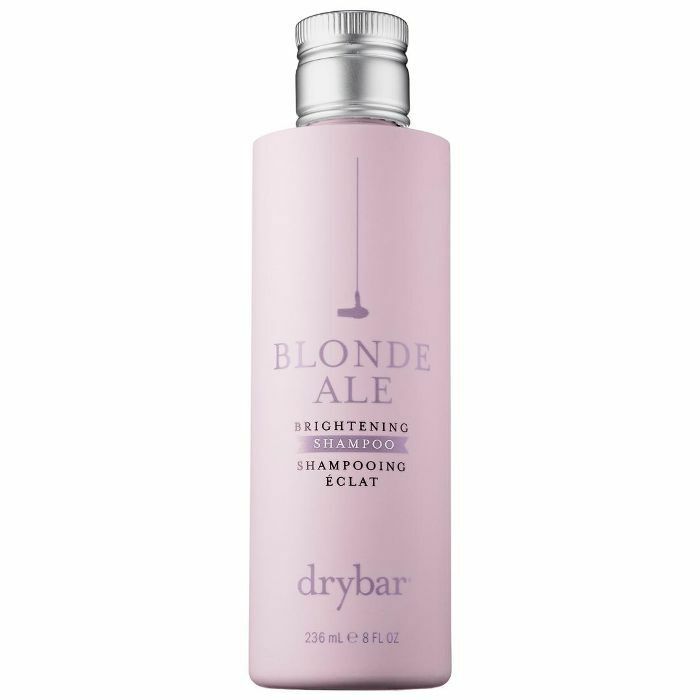 This shampoo is fortified with lemon extract to brighten highlights, while chamomile extract increases shine and gives a punch to blonde color. It's also got keratin to strengthen hair, especially amid damaging bleach. Pro tip: Don't let sit on the hair for too long and be sure to rinse it out immediately, as the violet color is quite strong. In this blend, centaury extract adds a silver tinge to gray and blonde hues, canceling out yellowness. So while it technically doesn't have a purple tint to it, it still serves the same purpose. One user writes, "Ran out of my purple Matrix stuff in Europe and was so happy to find this. My favorite in terms of shine, texture, and scent. No purple. It doesn't lather much, but the better soaps and shampoos typically don't. I buy this one, every time." The benefits of this purple shampoo last long after your first wash. Tone-correcting pigments attach to the hair fibers and cling on tightly throughout forthcoming washes. It's also got a bio-advanced peptide complex to repair each strand and fight frizz. 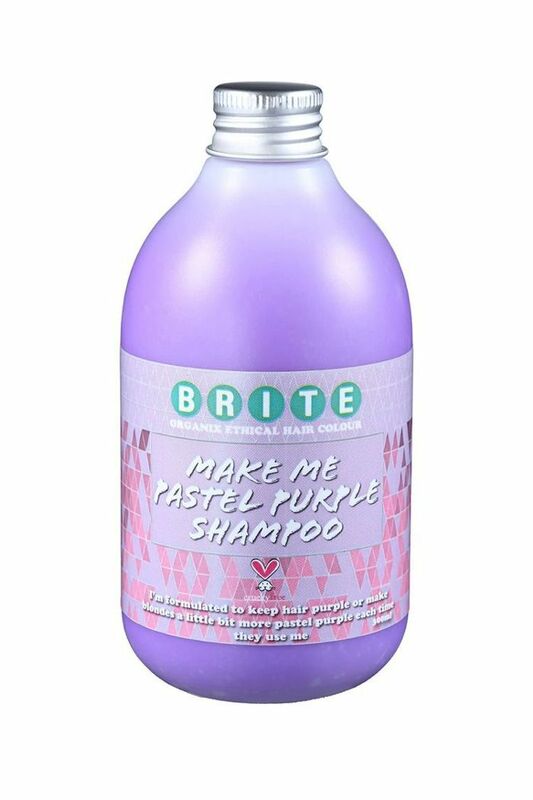 Lighthearted like its fun packaging, this shampoo delivers the slightest hint of purple to keep blonde and silver tones looking their best. Users also praise it for its ability to stave off greasy roots: "Ive been having problems with greasy hair since we moved into our new place. I have a shower filter and tried many shampoos. 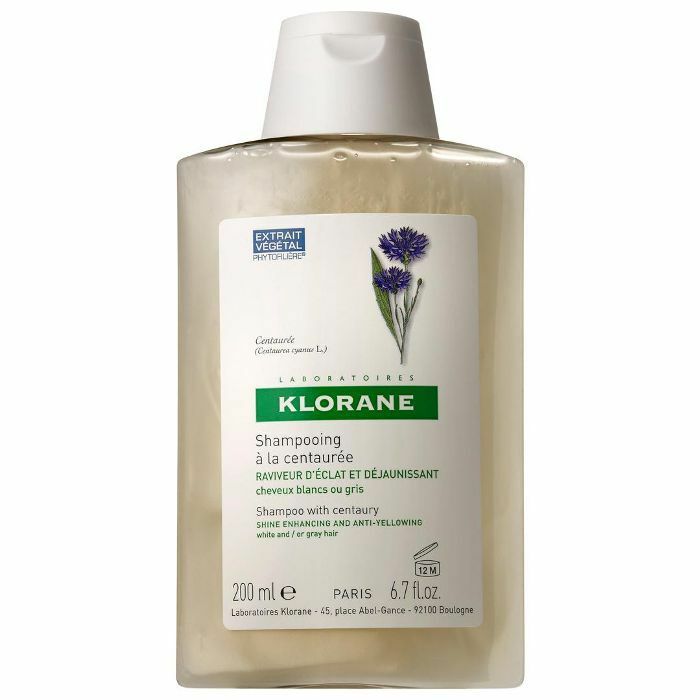 I don't dye my hair often, sometimes just high lights, but this has helped my oily hair so much!" Working deep within the core of the hair, this shampoo is infused with citric acid to repair and strengthen the hair from the inside-out so your blonde locks can remain bright and grow longer. A subtle purple hint derived from natural mineral pigment helps keep blonde colors looking their coolest and most vibrant while coconut acid gently removes impurities without stripping hair of the good stuff. Function of Beauty's ethos has always been to create customizable shampoo that fits every one of your hair needs without sulfates, parabens, or damaging nasties. Their newest launch, Purple Shampoo, allows you to create that same bespoke formula, but with the option to add the blonde-protecting power of a purple tint. In order to receive this blend, you'll need to choose the "brassiness" option as a hair goal in your Function of Beauty quiz. There's also the option to just order one bottle of shampoo, which will run you $18. Your blonde is about to be as shiny as ever with this blend of wild cherry bark extract and argan oil for deep moisture and nutrients so thorough, you might need to turn off the flash on your camera. Up next, read how one editor salvaged her damaged, bleached strands after a disastrous appointment.